If you could slim down one part of your body, which would you choose? Millions of people agree: the most stubborn area is thigh fat. The new CoolSmooth Applicator works particularly well on the outer thighs, or “saddlebags.” If you have difficult, non-pinchable fat on your thighs, this device offers a proven successful treatment option. Many people think that problems areas like saddlebags require invasive surgery.  With CoolSmooth, patients get the safe, effective results of CoolSculpting without a single incision. We’re happy to announce this perfect addition to the CoolSculpting line of treatment options at our offices. If outer thighs are your problem area, there’s never been a better way to get rid of the fat! We added the CoolSmooth Applicator to our available treatment options because the design works perfectly on outer thighs — and we know many people struggle the most to get rid of non-pinchable thigh fat. If you’ve been waiting for the perfect way to get rid of saddlebags… this is it! Contact us at Sensational Skin to schedule a consultation and find out more.